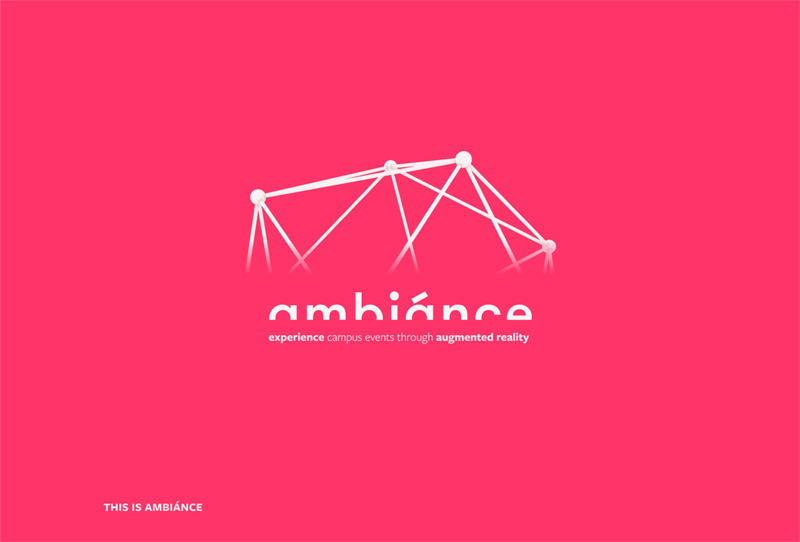 Ambiánce is a project for the Interactive II course, whereby we were prompted to enhance the experience of campus events through a mobile app. 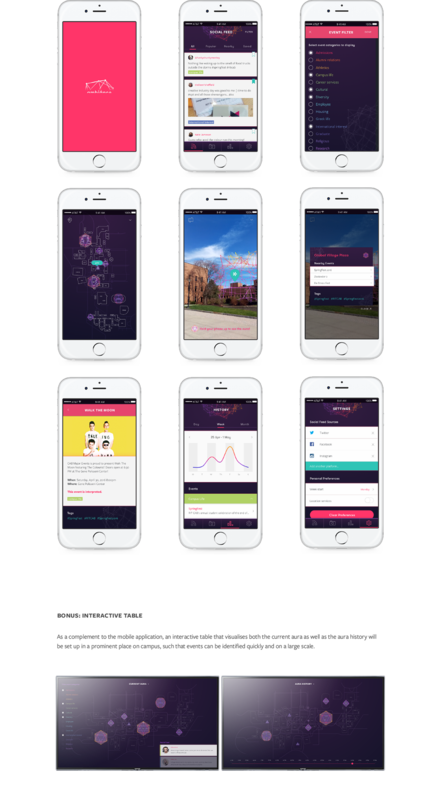 Ambiánce provides a way to visualise the aura of events around campus through a mobile application and interactive visualisation table, using geo-location and hashtag data taken from social media. 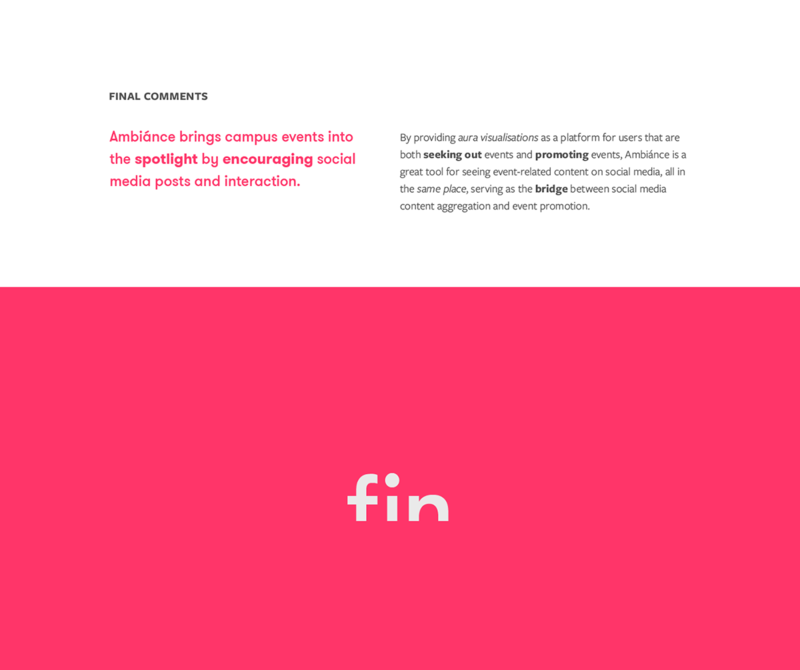 I explored the use of new tools and methods through this project, namely using Sketch to complete the wireframes and visual designs of a full application for the first time, and using Cinema 4D in conjunction with After Effects to map a 3D motion object into a real life scene (which, albeit isn't very evident, became a large part of the project regardless). I still hope to improve upon this project and show some more of the 3D motion tracking renders that I have completed.